The computer “wpad” is a reserved host-name to automatically provide proxy settings to all browsers. 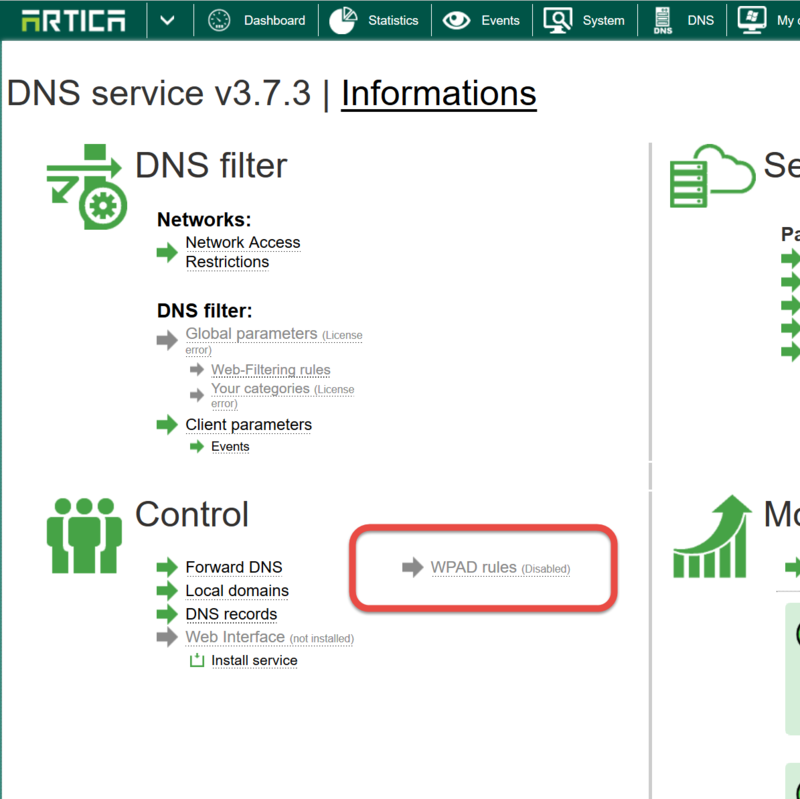 The Artica DNS service is able to catch all “wpad*” DNS requests in order to answer them according rules by network. 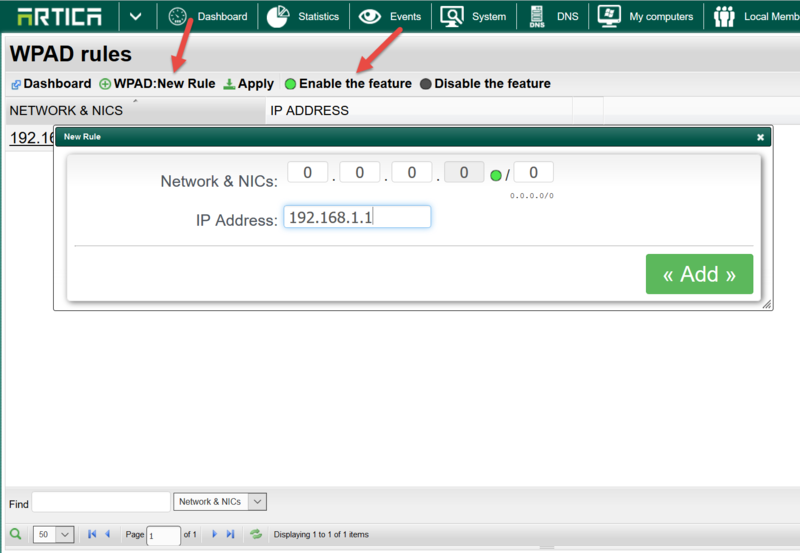 On the DNS section/Control, click on WPAD rules grey link. Enable the feature by clicking on the “Enable the feature” button. 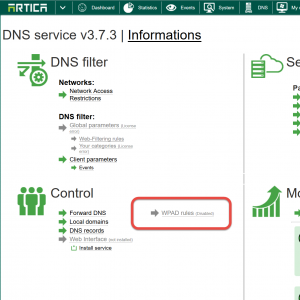 This section allows you to force the DNS server to answer to an IP address according the IP address or the subnet client. 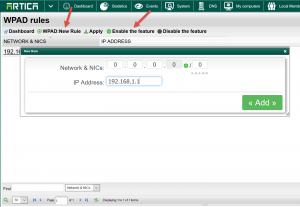 For example you can resolve the wpad computer to 192.168.1.1 from a client that query the DNS from the 192.168.1.0/24 network and resolve the wpad computer to 192.168.1.2 from a client that query the DNS from the 172.16.1.0/24 network. You can use 0.0.0.0/0 for the “cacth-all” network. You can use 192.168.1.1/32 for only one IP address. When finish, click on the Apply button to make rules in production mode. ← Log Internet requests in CSV format for specific objects.